I see general thug, public nuisance and former English Defence League leader Tommy Robinson is a free man after winning an appeal against a contempt of court finding. The bailed 35-year-old was sent down after he admitted the charge in May for filming outside Leeds Crown Court during a trial. At the Court of Appeal, Lord Chief Justice Lord Burnett ruled the case be reheard as there had been technical flaws by the judge who jailed him. Robinson’s second conviction in a year for contempt of court was flawed because it took around five hours from his arrest to sentence at Leeds Crown Court and was therefore deemed too hasty for him to prepare a defence. I imagine lots of decent folk around the UK are wondering what the hell is going on. Well it’s called English justice and I for one am happy that a legal system is in operation which offers a fair hearing to all including obnoxious pipsqueaks like Robinson. So stop hyperventilating and celebrate the fact we live in a country – it could just as easily happen in Scotland’s courts too – where we enjoy the very rights fascist oiks like Robinson would seek to deny me and lots of other Muslims living in the UK. Robinson’s legal team argued that everyone has the “right to a fair hearing”. The matter will be reheard before a different judge at an Old Bailey hearing “as soon as reasonably possible”. There’s still a chance he will get more porridge … we all live in hope! One of the most prestigious prizes in mathematics has been won by a Kurdish man who arrived in Britain as a refugee. Cambridge University professor Caucher Birkar was one of four honoured for major contributions to their respective areas in mathematics at a special ceremony in Brazil. He arrived in the UK as a refugee after applying for political asylum while visiting from university in Iran. Born in Kurdistan Province, near the Iran-Iraq border, he was raised during the eight-year conflict between the two warring countries in the 1980s. The prize was inaugurated in 1932 at the request of Canadian mathematician John Charles Fields and is awarded every four years to the most promising mathematicians under the age of 40. This year’s honours were announced at the International Congress of mathematicians in Brazil. Instead of repelling refugees who come to these shores perhaps we should be more welcoming. Just how many potential Caucher Birkars have been turned away in recent years under Theresa May’s watch as Home Secretary and Prime Minister? Now there’s some statistics worth calculating! I see the brutal Scouse Brow is about to disappear which is no bad thing but, oh dear … look what’s heading our way! 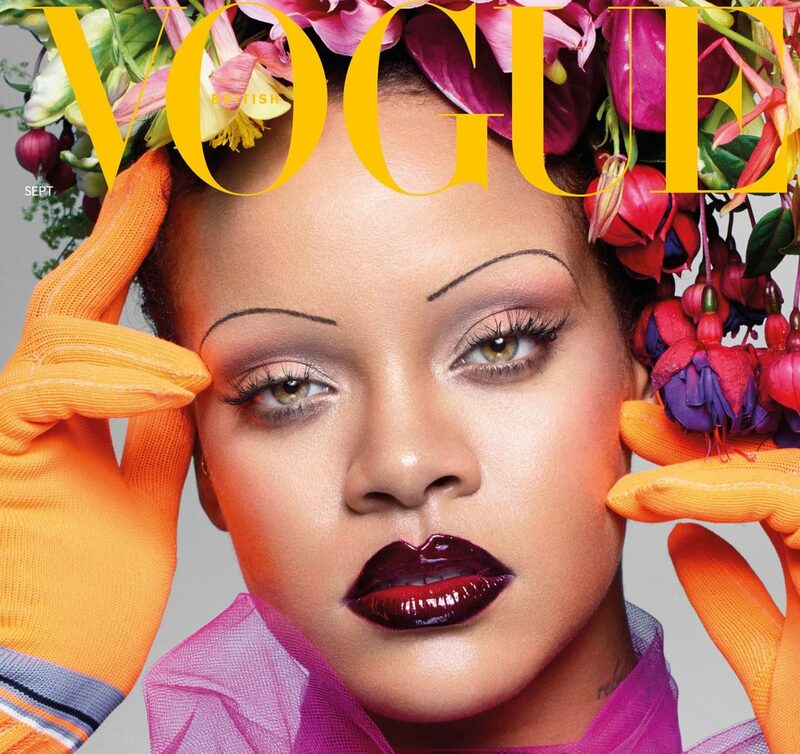 Ultra fine arches could be making a comeback thanks to Rihanna’s latest makeover on the front cover of fashion mag Vogue. Brace yourselves. It looks as though the thick, full-eyebrows made fashionable by the likes of Sienna Miller, Jennifer Connolly, Kate Winslet, Madonna and Natalie Portman could be a thing of the past. Quick, pass the tweezers! My Tweet of the Week comes courtesy of Channel 4’s self deprecating political correspondent Michael Crick but thanks to new foreign secretary Jeremy Hunt’s confusion over his wife’s nationality. Could things get worse … it seems they could judging by Crick’s sorry story.